Jane is an amazing, dedicated and highly qualified level 4 trampoline and level 5 DMT coach. She is the head coach at Max Force and has achieved an amazing year of medals and titles. At the national league finals last held in December 2017 Maxforce performers coached by her took 11 top 10 positions across the age groups and categories. They had two age group champions and overall the club came third. Just over a year ago she was invited to coach the England DMT squad which train at Lillishall, Shropshire as a volunteer. For the last year she has been making many long trips to coach the team who have taken many national and some international medals. She is a role model to others with her passion and hard work inspiring her performers and others to do the same. She is appreciated, respected and loved by all. 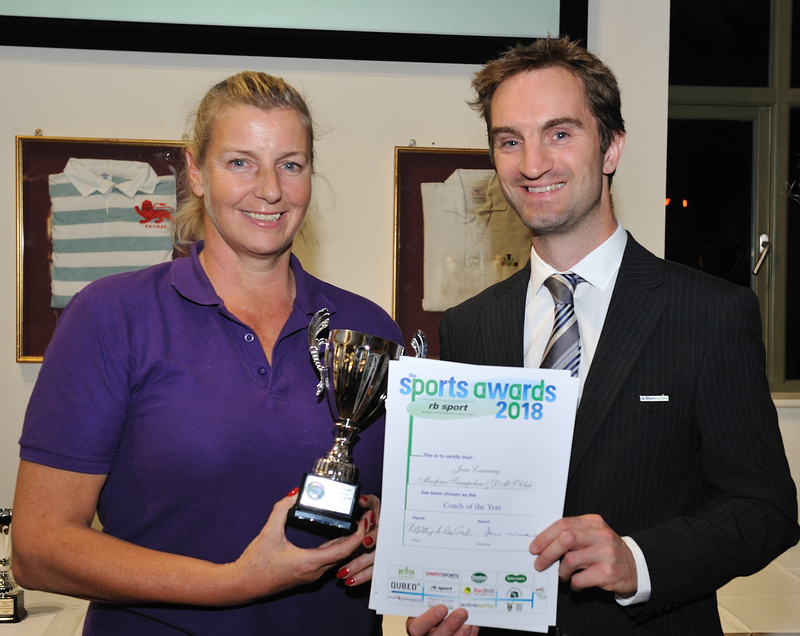 Our warmest thanks to ActiveSurrey & Specsavers for sponsoring this award.